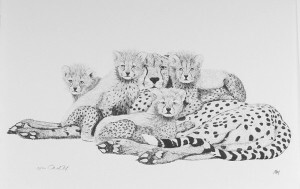 Martin May specializes in finely detailed pen and ink drawings of wildlife and historical buildings, as well as pet, home and business portraits. Some of his latest works show his sense of humor as well as his artistic ability. His work is being shown in galleries and at shows in the Eastern United States. Many private and corporate collections throughout North America, Europe and China contain Marty’s work. His work has won numerous awards and has been published in sporting and art show magazines.